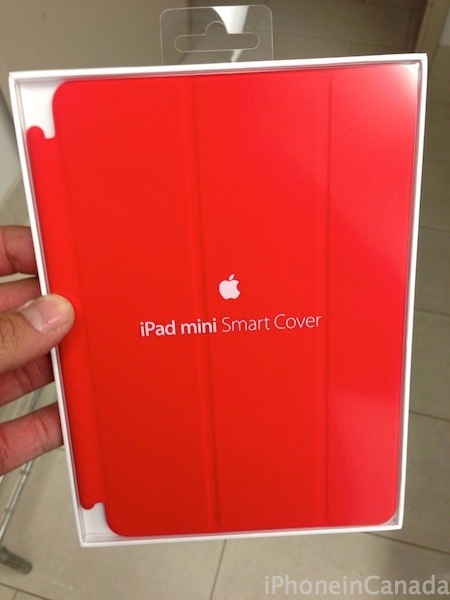 Looks like iPad mini Smart Cover deliveries have arrived in Canada head of Friday’s launch. The new cover retails for $45 (online availability shows shipping in 1-2 days) and comes in a variety of colours including (PRODUCT) RED. Yesterday, the first iPad mini and 4th gen iPad reviews hit the web and today unboxing pictures appeared as well. Apple previously posted an iPad mini delivery estimate map to allow customers to track their orders. Our own iPad mini Smart Cover order has arrived at its destination and if all goes according to plan, it should be delivered today. Have you received your iPad mini Smart Cover yet? What colour did you get?